CELTIC Woman’s Éabha McMahon says the quartet “can’t wait” to bring their Voices of Angels tour to Australia. 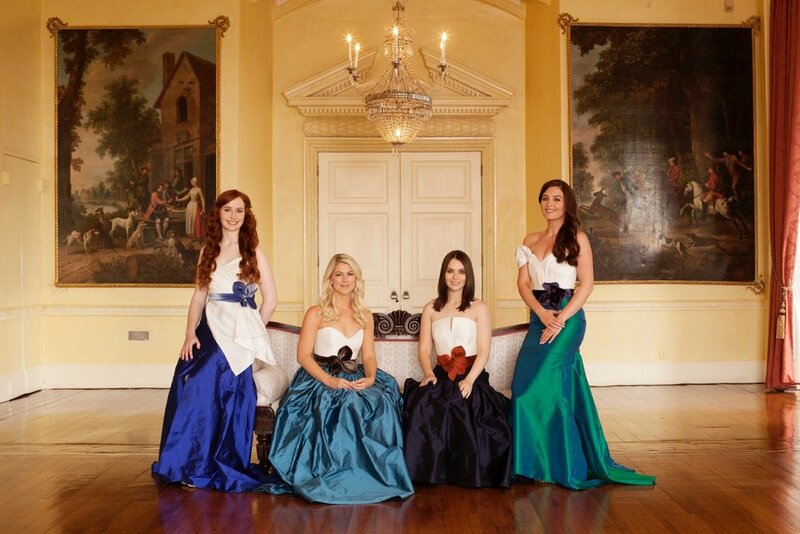 Celtic Woman are known for combining Irish music and storytelling with modern elements that make for a huge spectacle that aims to keep Irish traditions and stories alive. And the joy for McMahon and the other three members is in the stories they hear back from the audience. “It makes the show for me anyway and I think we all say that. “We go all around the world and we meet people with different stories and the beautiful thing about Celtic Woman is it keeps the people connected, it keeps the conversation going. “People can come for a night and talk about Ireland. It’s a brilliant way to bring people together and keep the Irish traditions going. “I find that’s what gives me the go to do a really brilliant show and to really tell the story because a lot of songs we do would be about emigration and heritage and they don’t need to live in Ireland to be Irish. “Even the people that aren’t Irish, it gives them a sense of Irish music but we’re meeting people everywhere we go. That means a lot to us.” Founded in 2004, the group’s line up has changed over the years but their popularity has endured. They have now sold ten million records and last year they were nominated for the Best World Music Grammy Award. The last time the group came to Australia, McMahon was a new addition after just joining in 2015. However, she would have been hugely supportive of the band since long before that. A native Irish speaker from Dublin, she remembers: “I was really young at the time and I remember saying to my mum, ‘they’re singing in Irish’ because nobody did that, nobody was bringing the Irish language onto the world stage at the time that I knew of. They were making it really accessible, the girls were singing it in a way that you could sing along and learn it. The other things include gaining a Human Rights degree and working in Vietnam with the Christina Noble Children’s Foundation, the organisation set up by the Dubliner to protect marginalised, vulnerable children. “I wasn’t even singing and then something happened in my life where I went: ‘Look, I’m gonna take a year and I’m gonna give singing and writing a go’ and then Celtic Woman came into my life and it really did feel quite serendipitous. “I think it’s our duty really as young Irish people to keep the language going and it’s one of those things: If you don’t use it, you lose it. I always felt very strongly about that. “I grew up singing in sean nós and Celtic Woman now sing a sean nós piece and every night I do it, I get shivers in my arms and I feel so proud that nobody else in the world is doing that right now. “It is our duty as Irish people to give a nod to the Irish tradition, the Irish language in its most pure form.” Joining McMahon in the line-up are classical singer Mairéad Carlin, Susan McFadden - who has a musical theatre background and violinist - and harpist and soprano Tara McNeill. “It’s quite an unusual line up in the sense that you would never normally put those four genres together but something happens when we come together. Every night, I’m like, ‘this is incredible’. it’s an epic kind of sound. “I’m so proud to be part of it and I’m really excited because it really is a brilliant show. There’s a real mix of everything, there’s something for everyone. It doesn’t matter what age you are, where you’re from, there’s something for everyone in the audience. There’s happy moments, sad moments, there’s the epic moments, then there’s the moments where we bring it right back to just voice and fiddle,” she added. McMahon said she would love to add a Cranberries song to the set as a way of honouring the late Dolores O’Riordan, who died last month at the age of 46. “I would love to do one of her songs, she was such a legend. For me, Dolores was one of those singers who made me believe I could actually be a singer because in a world of pop where things are over saturated...Dolores broke all those barriers.